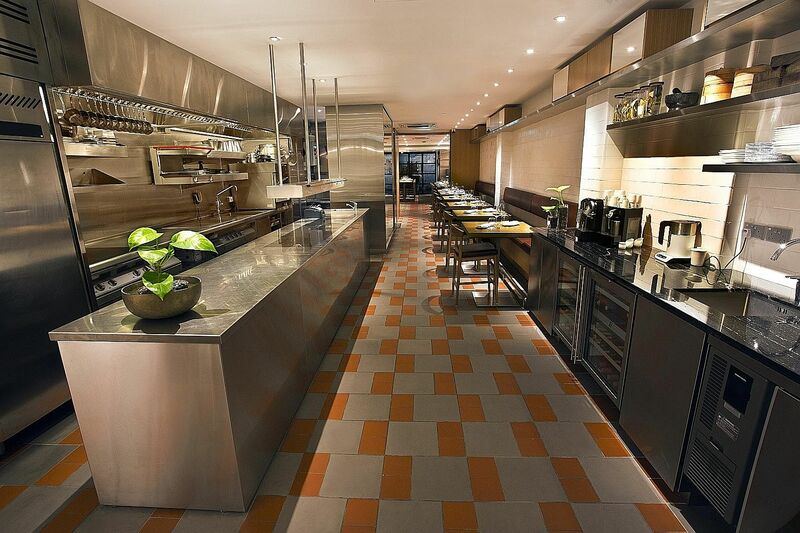 SINGAPORE - For a Michelin-starred restaurant, changing its chef is a serious issue. Will the new guy be good enough for the restaurant to retain its star? And if the star is lost, will the restaurant be able to regain its shine? That is probably the pressure Luke Armstrong is facing after replacing Ivan Brehm as the chef of the one-star The Kitchen at Bacchanalia in December last year. The Australia-born Armstrong is no stranger to Michelin stars, having worked at acclaimed restaurants such as Pied a Terre (one star) and The Ledbury (two stars) in London, and Oud Sluis (three stars) in The Netherlands. But the last restaurant he was at, Maze in London where he helmed the kitchen, lost its star in the 2016 guide just before he joined and has yet to get it back. So the question on many people's minds is, obviously: Will The Kitchen at Bacchanalia keep its star this year? Judging by my meal at the restaurant last week, I would say it's not very likely. Armstrong's style of cooking is not that different from Brehm's - modern European creations involving multiple ingredients that often appear incompatible. But while Brehm managed to create harmony out of discord, Armstrong's creations sometimes leave me wondering about the purpose of the ingredients. There just isn't enough synergy to justify their co-existence on the plate. On the positive side, the cooking is competent and some dishes do stand out. From my $188, eight-course menu (the alternative being a $155, four-course one), the best dish is, surprisingly, a simple Green Asparagus. That is because the green Mallemort asparagus from France is outstanding in itself: thick, firm and sweet. It goes well with the truffle and champagne sauce, and toasted brioche crumbs sprinkled on top give the dish a more complex flavour profile. But it is the aromatic truffles in the sauce that turn the simple vegetable into a gourmet dish. Black truffle from the Loire Valley features even more generously in the Grass-fed Beef Fillet. The meat comes covered in shavings of it. But even without the aromatic fungus, this is a good dish. The beef does not have the high fat marbling of wagyu, but compensates with a full flavour that makes you wish the cut is bigger. The accompanying aubergine compote is a winner too. What I am not excited about are the seafood dishes - though in one case, it's more of a personal preference. The Hand-dived Scallop, served as a ceviche with creme fraiche and a yuzu and soya dressing with a hint of black truffle, would probably find fans among those who like their shellfish raw and tart. But I think scallops taste much sweeter when cooked lightly and I prefer their texture when they are slightly firmed up. Following this with a Hamachi tartare shows a lack of variety. Unless you are a Japanese restaurant, having two raw seafood items in a row is not a good idea. The flavours from the jalapeno creme, avocado and toasted lardo are interesting, so I'd keep this as a starter and serve the scallops as a warm seafood course later in the meal. White Beetroot, salt-baked and served with bafun uni, sounds good on paper, but the sea urchin is not assertive enough to make an impression. The result is a so-so dish. I usually like Monkfish for its firm texture, but the version here appears to have lost that distinctive character. It is indistinguishable from any generic white fish. And the solitary Zeeland mussel accompanying the fish is not particularly sweet or tender. The saffron sauce is pleasant, though. Oddly, it is the amuse bouche that I remember most among the seafood items. It is a little crab ball that is supposed to be inspired by chilli crab. It tastes more of shrimp sambal or hae bee hiam actually, but it packs a spicy punch that easily endears it to most local palates. Dessert is Chocolate, served with mint ice cream, yogurt, hazelnut feuilletine and citrus. You get all that on the platter, each ingredient tasting just how you expect it to. But eaten together, there is no magic. Neither is there, I suspect, any star on the horizon. But I could be wrong of course. After all, some of the eateries given stars in the last Michelin Guide had me scratching my head.